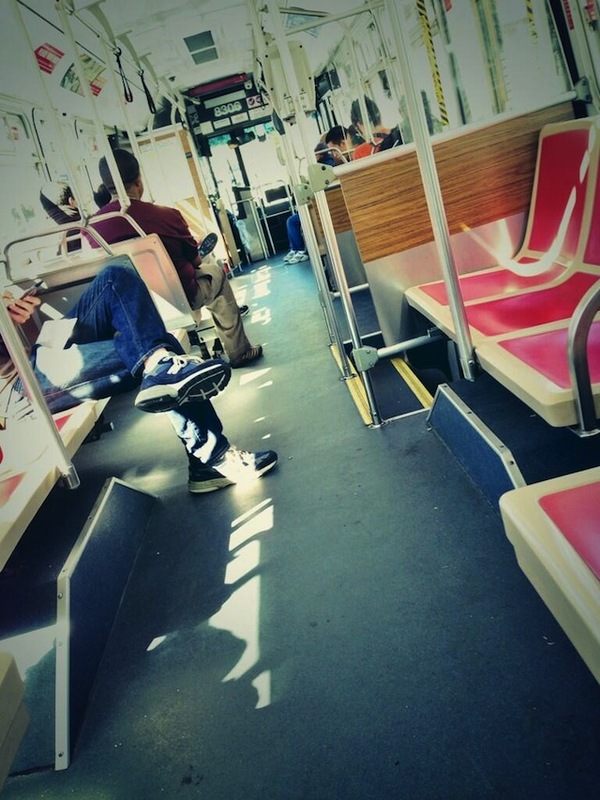 Muni rider Samantha submitted this story. I, for one, am speechless. Muni is home of the weird, that is for sure. As soon as you think you’ve seen it all in San Francisco, you can hop on Muni and see something even weirder. I hopped on Muni the other day and a homeless man rolled onto the 47 bus (yes, rolled) with a pillowcase of his own urine. Yep, this man carried a pillow case of piss that was dripping out as he sloshed it to and fro. Riders like myself were dodging piss trying to comprehend why any of this was happening. He was too drunk to sit or stand so he rolled around on the floor until it was his stop and he then tumbled down the stairs. I mean I just can’t. Good morning? 3. Makeout on the phone. 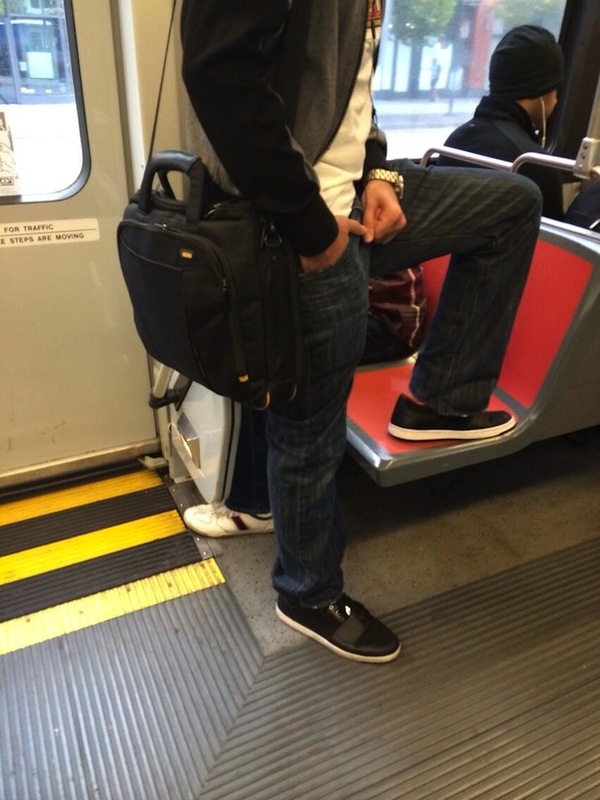 @sdqali: SFMTA needs to enforce a rule on how long an over-the-phone kiss can last while riding the Muni. Invasion of the stinky Muni bus snatchers! Muni’s rollout of new buses has infected the 47-Van Ness, you guys. Ready your emergency kits. 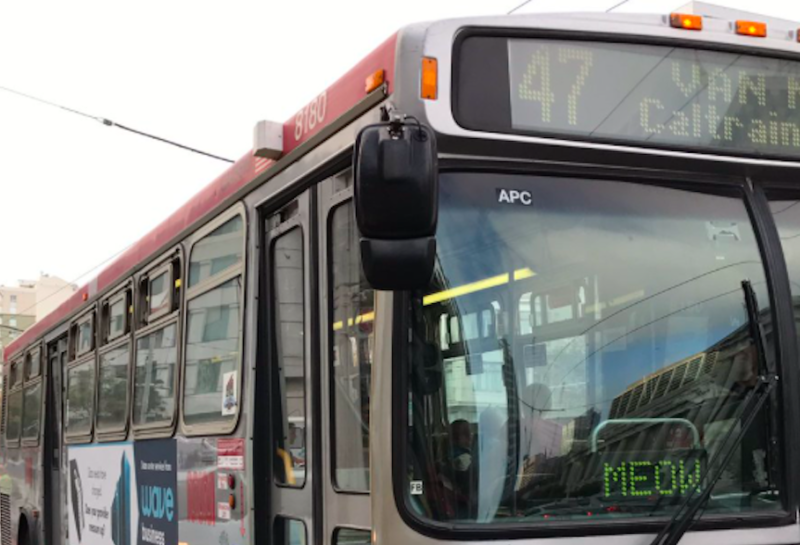 New buses (and their new-bus smell) are coming for you and your loved ones!